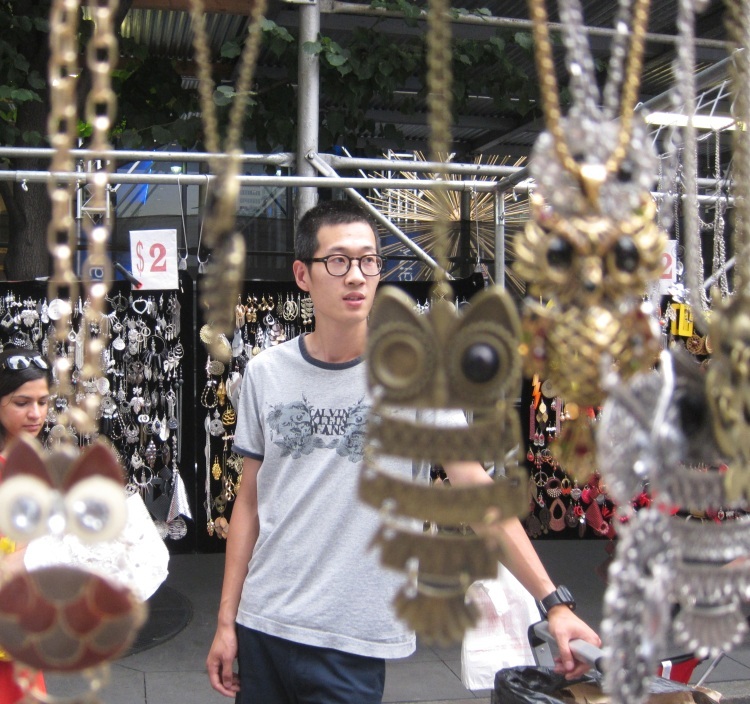 Hipsters like owls and other birds, but I can guarantee they are not at this street fair buying cheap jewelry. These pendants, being large, make some kind of strong statement. This entry was posted on July 6, 2012 at 11:27 am and is filed under street photography. You can follow any responses to this entry through the RSS 2.0 feed. You can leave a response, or trackback from your own site.